Who could ever forget the amazing scoreboard in the landmark Astrodome? Whenever an Astro scored a homerun, or an Oiler made a touchdown, the animated bull would come alive, snort with gusto, while rallying fans to CHARGE! 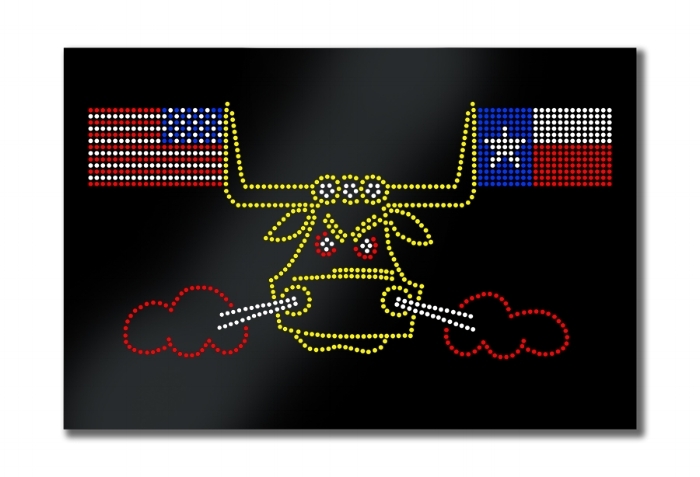 The Homerun Bull is printed digitally on a rigid sheet of PVC, made-to-order, and comes ready to hang -- sadly, not animated. 30" x 40" is $800.